You’ve had gelato — the Italian version of ice cream — but have you ever wondered how it's made? Learn the basics of Italy’s classic dessert during this 30-minute gelato class in Capri. See what goes into making every batch of this smooth and creamy treat, and discover why gelato is so important in Italian culture. 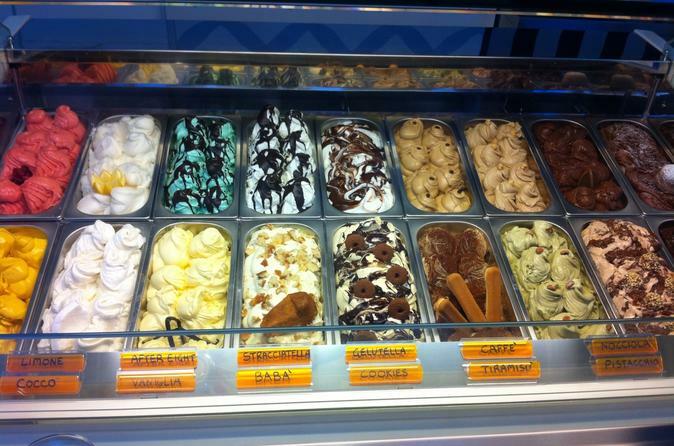 End with a fresh gelato tasting! A choice of several class times is available to suit your schedule. Numbers are limited to 10 for this small-group gelato class, ensuring a personalized experience. 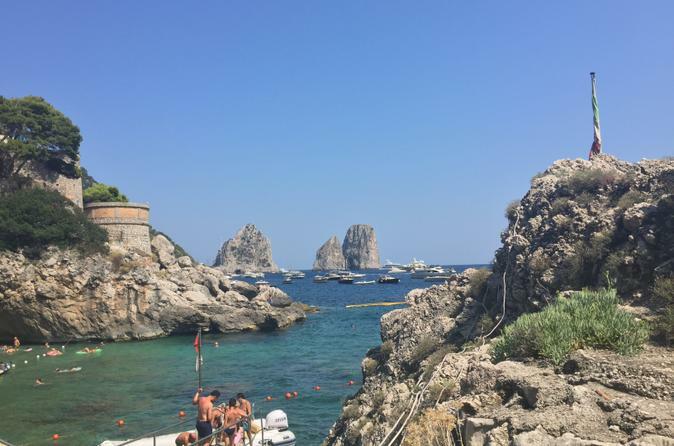 During this 3-hour private excursion to Capri island by boat, you will pass along beautiful places such as Marina Grande, Grotta del Corallo, Grotta Bianca, the natural arch, Villa Malaparte, the Bay of Marina Piccola, Grotta Verde, the Lighthouse of Punta Carena, and the Grotta Azzurra. Learn to cook Capri-style with this 4-hour, small-group cooking class, limited to a group of just eight people. 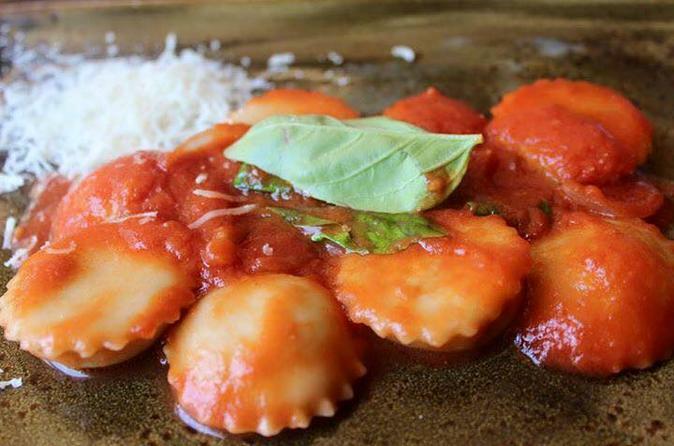 After hearing about the island’s culinary heritage, you’ll create a 3-course meal using fresh and local ingredients. Make pasta from scratch, learn the secret to a great Insalata Caprese, and create a traditional Capri cake for dessert. The best part? You eat the meal when the class ends. 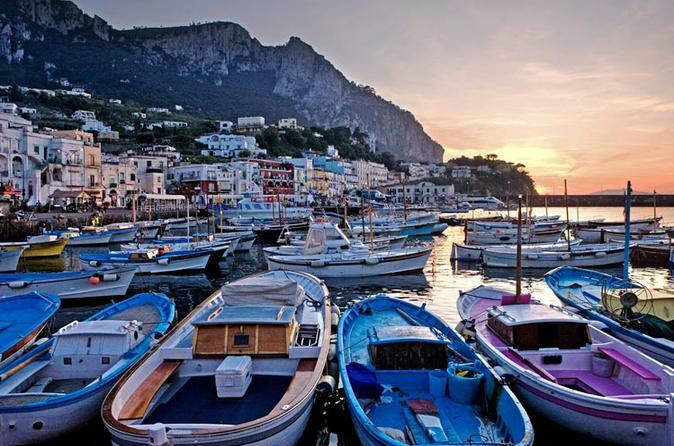 Enjoy a day filled with breathtaking views and relaxation by cruising from the Island of Capri along Italy's Amalfi Coast. This jagged coastline is unlike any other, and the best way to view it is from the sea. Stop to swim in various inlets and lagoons, and enjoy the company of a local captain who will show you the can't miss sights of the area. 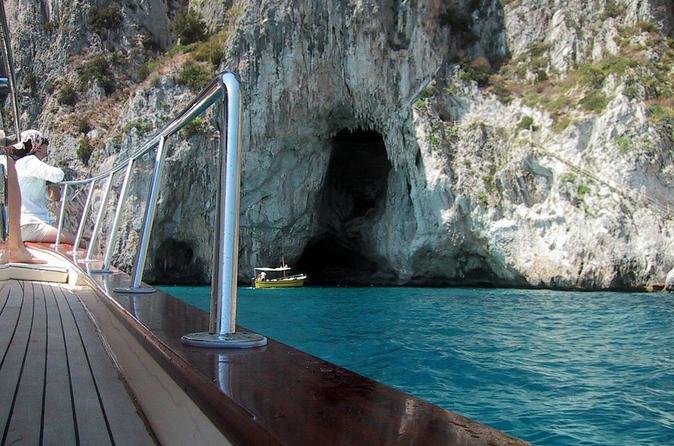 The tour of the island with a typical boat and local multilingual speaking sailor will take you to visit the famous blu grotto and the lesser known sea grottoes. You will have time to swim and if you prefer you can have a picnic on board at your choice. This tailor made excursion gives you the opportunity to see the two different faces of the island, by day and night. Enjoy the views by day but set foot on the island when all the crowds have left and immerse yourself in the magical setting of dusk. There is no better way to experience the beauty of the Island of Capri and Positano than by boat, sailing within meters of the shore, enjoying a unique vision of both the area's natural and man-made masterpieces.There is no better way to witness the Amalfi Coast's gravity-defying, vertical towns, and no better moment in which to enjoy an unforgettable swim in this beautiful area. 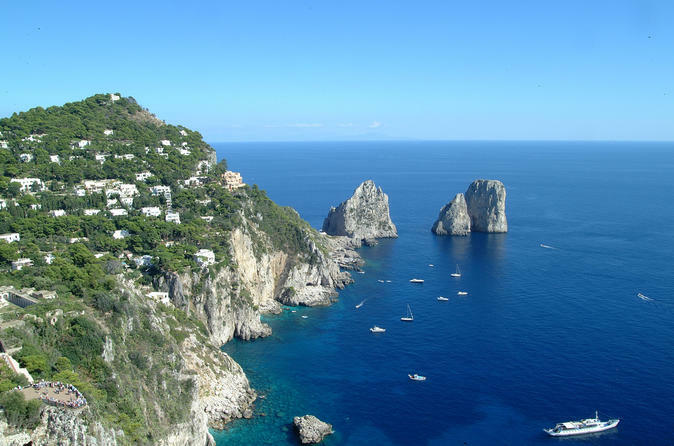 Discover the highlights of Capri and Positano on a private boat excursion. 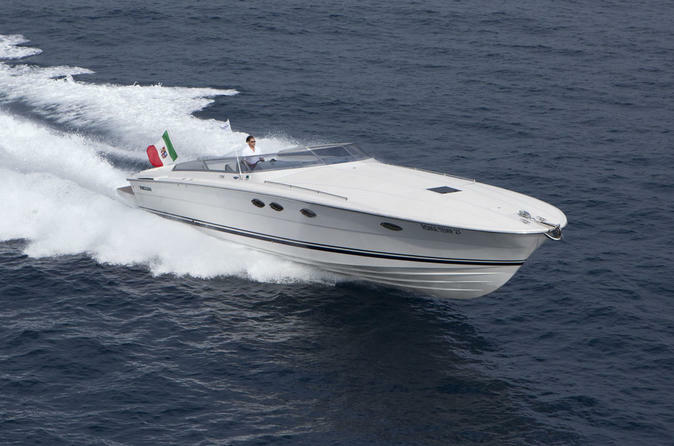 Sit back and enjoy the beauty of the Neapolitan Riviera with your private captain at the wheel in a day customized just for you. This tour is perfect for the adventurous because it is full of exploration, relaxation and fun.